Taking a quick break from talking Call of Duty: Advanced Warfare, I want to talk today about the November Game With Gold for the Xbox One – Volgarr The Viking. I hadn’t heard much, if anything, prior to the announcement that it was the game of the month. Which is really a great analogy for the game – it’s a game that is really barebones. No major press on the blogs, no huge banner ads on the Xbox dashboard. The game itself is just the same – no flashy menus, no complicated systems to learn, hell there really isn’t any intro beyond a quick load and then you’re off. There’s no tutorials to wade through, learning mechanics you already have known for years. Instead, Volgarr throws you right into the deep end, and you better swim. That mentality of sink or swim is pretty refreshing these days. I’ve written before about how I think the loss of manuals in games has totally impacted the overall nature of game design. Developers have to put more tutorial content into the games since those manuals don’t exist anymore. 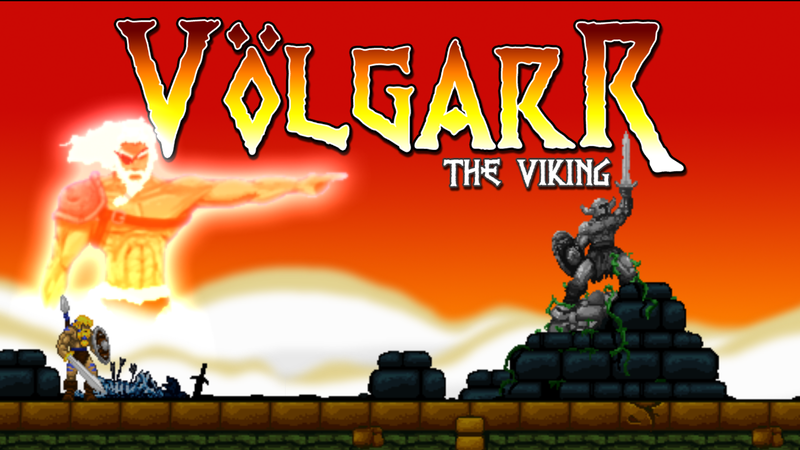 Volgarr is an example of a game that would have had a pretty damn good manual back in the day – explaining the story, characters and powerups – none of which is in the game. And it fits and works totally perfectly. If you didn’t know better, you could totally think Volgarr was some deep cut on the SNES, being reissued 20 years later. It’s extremely reminiscent of Ghosts N’ Goblins – demanding players have pinpoint platforming control, and doesn’t give them a ton of health to mess around with. It’s a game that requires you to learn the patterns of the levels, repetition is part of the experience. Which might sound like a bad thing, but anyone who’s played lots of old school games, this just feels like it always did back in the day. Learn the patterns, know where enemies spawn, get your execution up to snuff and you’ll be able to run through levels with ease. That learning portion though isn’t going to be easy, and you might be frustrated a bit, but that’s part of these old school games. Bottom line is really that this is absolutely a game worth picking up. Not only is it free, so that’s not an excuse, but it’s a great illustration that game design doesn’t need to be overbearing. It can be subtle level design to introduce mechanics. It’s learning through repetition. It’s a great old school game that feels like it belongs on an SNES.